MECHANICSBURG – A concert planned for this weekend featuring award-winning bluegrass band Audie Blaylock and Redline has been postponed until Feb. 23 due to a threat of 3-5 inches of snow this weekend. The group’s website and eventbrite.com ticket page have been updated to reflect the new concert date. The concert will be performed at Mechanicsburg’s 1858 Meeting House, formerly known as the Second Baptist Church, at 43 E. Sandusky St., on Feb. 23 at 7 p.m. Local musician Bill Purk will open for Redline. Tickets are $10 in advance or $12 at the door. According to event sponsor Paul Kurtz, many fans were coming from one to two hours away and the possibility of a snow advisory made him think it was wiser to delay the concert. 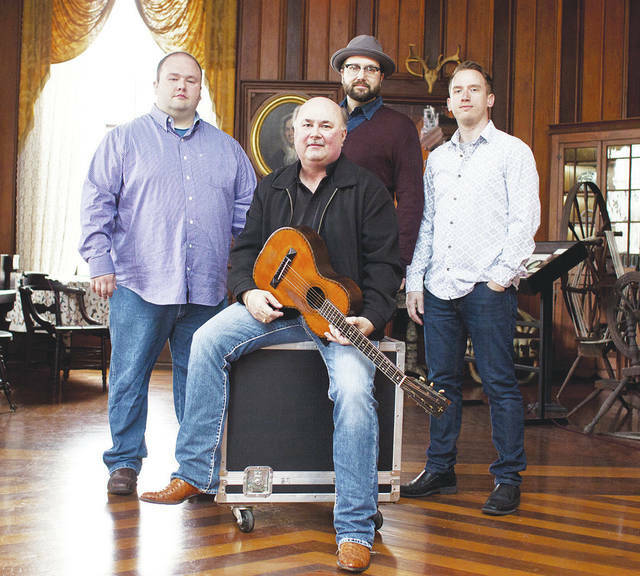 Blaylock is a Grammy-nominated, IBMA award-winning vocalist and has performed with bluegrass giant Jimmy Martin as well as Rhonda Vincent and other high-profile entertainers, Kurtz said. Twelve years ago he formed his band, Redline, consisting of band members from around the country and including West Liberty-Salem teacher Reed Jones. Hemisphere Coffee Roasters, Mechanicsburg, started selling a “Redline Roast” blend of direct trade Ethiopian and Thai coffees on the first of January, though owner Kurtz said it was available on the Redline website shortly after Christmas. He will sell brewed coffee and bags of coffee as concessions during the concert. The proceeds will go to the Champaign County Preservation Alliance, owner and restorer of the 1858 Meeting House. The CCPA will also provide concessions.